It is composed of the latest technologies. You can gather your friends or family around the table and enjoy applications together. Enjoy the magic of a single gesture to share all your table contents to your tv! Play together on the table and have great fun! New era, new uses: Control your home and connected devices with your revolutionary table. 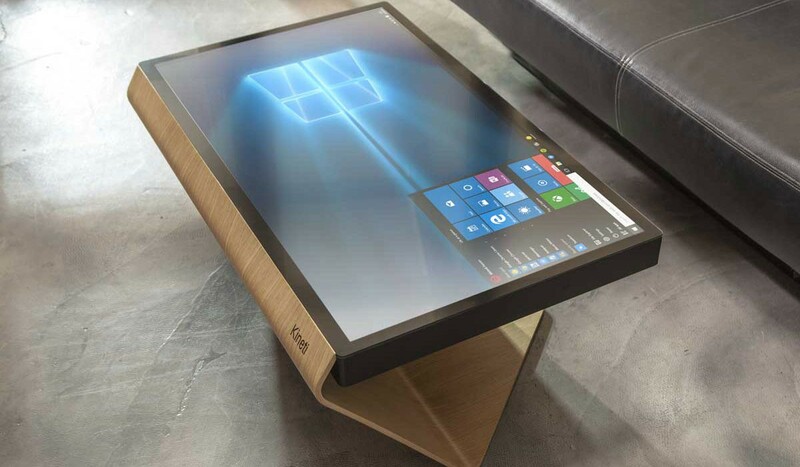 See bigger for your tablet with La Table Kineti! Where to touch and buy ? 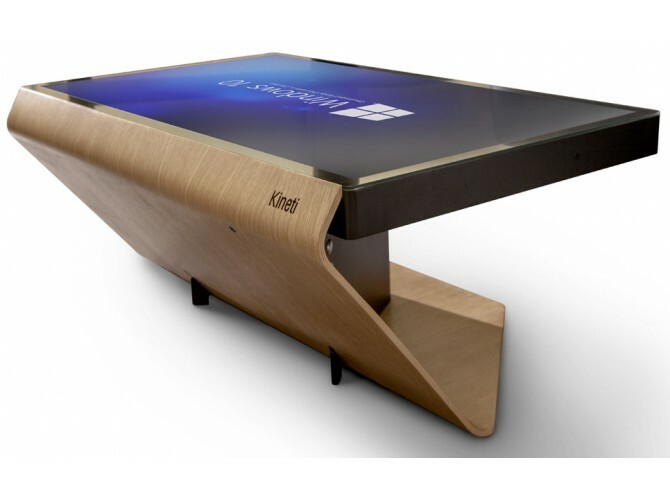 Gather friends and family around the Table Kineti, jewel of technologies four your interior. 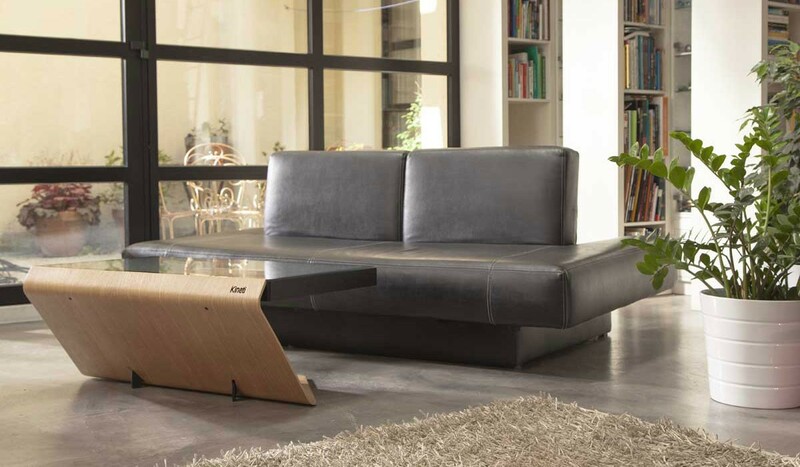 As robust of your regular coffee table, it allows you to enjoy many applications and games. You can watch movies, listen to music, surf the internet, make video conferencing, do word processing and image editing, control your other connected devices ... La Table knows no limit. Sharing has never been so easy! Transform your Tv in a connected screen and send pictures, videos, movies from the table to the TV with a single move. La Table Kineti a remporté le Prix de l’innovation du public parmi 24 produits et innovations présentés à la Foire de Paris. KINETI Technologies is an innovative company that holds international patents. It has developed a full range of touch furniture for professionals and individuals. 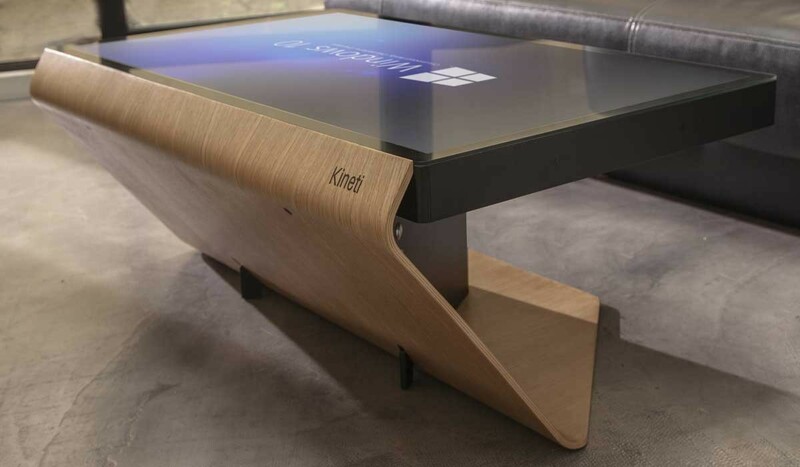 Kineti Technologies is also specialized in escorting businesses in the digitalization process of their activities especially with touch furnitures like terminals, totems, counters and tables.